Traveling for work has its pros and cons. 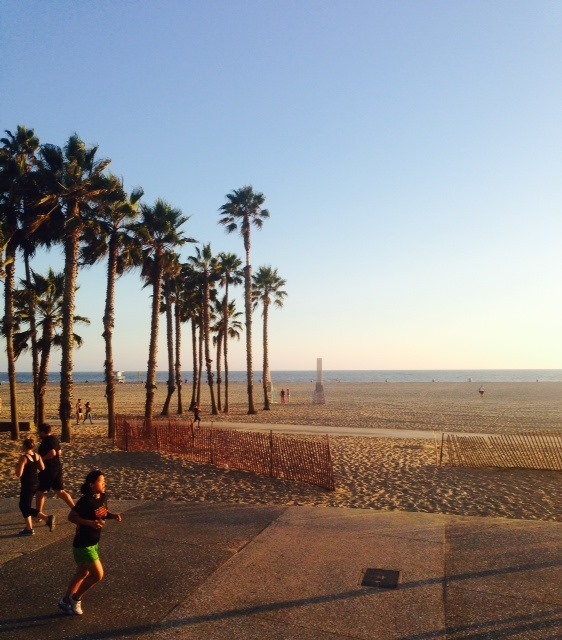 I spent the last two weeks in sunny Santa Monica, California. I was there to take multiple depositions in an expedited proceeding, which meant that I escaped my hotel room / conference room for a combined total of approximately 4 hours over a 14-day period. In fact, I didn’t leave my hotel room or the conference room from which we were working at all until Day 4, when I took the extreme liberty of walking to the beach and back. (Picture below). I was out of the room for about 10 minutes-I didn’t even put my toes in the sand for fear that I’d never return to the room. Two weeks felt like a long time to be away from home. But it also felt like a long time to be away from my regular work routine. In particular, my email Inbox expanded beyond my normal comfort level, as I prioritized the case that required my attention the most. It wasn’t until late in the evening that I was able to make meager headway in responding to emails I’d received for other matters. But, had it not been for those late-night (and, sometimes, very early morning) email binges, I would never have been able to get caught up upon my return. I also would have had some very unhappy clients, who require their lawyer’s prompt attention to deal with emergency issues as they arise. On the one hand, putting technical barriers and/or policies in place that restrict certain employees can have its benefits. In particular, it limits the risks associated with non-exempt employees who send emails during off-hours and who must be paid for that time as time worked. But it also seems to have some less-than-ideal outcomes. Specifically, as we move more and more towards a flexible work schedule in an increasingly mobile society, the ability to respond to emails when and where we want can be very important. And limitations on that ability may not be all its cracked up to be. Alas, the work-life balance continues to be more of a juggling act than a graceful performance on a balancing bar. Either way, it’s good to be home.